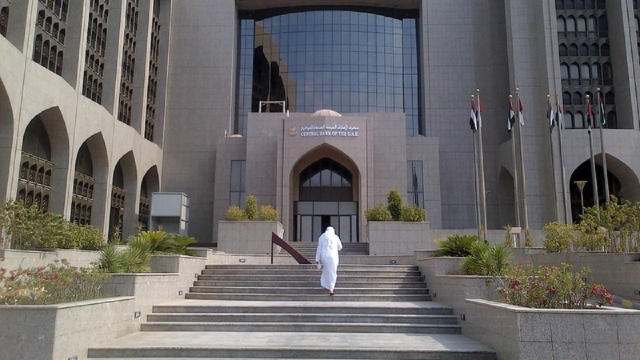 The UAE Central Bank, in collaboration with the Emirates Bank and National Banks Union, has launched a new national initiative called "Citizens Loan Program" to alleviate the debt burden of citizens. The Central Bank of the United Arab Emirates (UAE), in collaboration with the Union of UAE Banks and National Banks, has launched a new national initiative entitled "Citizens Loan Program" to ease the debt burden of citizens. The launch of this initiative comes as part of the ongoing efforts to promote practices related to the foundations of consumer credit granted by banks and finance companies in the country. The idea of ​​the program is to reschedule the loans of citizens whose monthly premiums exceed 50% of the salary and exceed four years at the interest rate of three months or less, in order to reduce the monthly deduction to 50% of the salary or 30% of the pension for pensioners retired citizens And therefore write off the future interest resulting from these loans, which exceed the price of Ibor for three months. The new program would enable debt-laden citizens to make use of additional amounts to repay debt, which would help them repay their debts earlier and in monthly installments not exceeding 50% of their income or 30% of their pension. This program is in line with the requirements of the bank loan system and other services provided to individual customers issued by the Central Bank in 2011. The consumer loan program is expected to cover personal loans granted before May 2011 - personal loans, auto loans, overdraft facilities and existing credit card balances - but will not include mortgage loans and loans for shares or deposits. The program undertakes not to borrow or obtain credit facilities from banks and finance companies during the repayment period, and to authorize the concerned bank and the central bank to take any measures to ensure that no loans or credit facilities are received during the repayment period. The program represents an opportunity for banks to comply with the regulations and instructions of the Central Bank, which recently set conditions for the purchase and transfer of personal loans granted before and after the issuance of the system, in order to fill any gaps that may be exploited in this regard. These requirements for loans granted after the issuance of the regulation include the need to fully comply with the requirements of the system, in particular those relating to the amount of the loan or financing, the period of payment and the monthly deduction. For loans granted before the issuance of the regulation - the need to reduce the interest rate and not to increase the repayment period or the balance of the loan or funding through the granting of a loan or additional financing to the borrower. The banks will participate in the program of citizens loans to communicate with their customers and announce the start of receipt of applications for the program beginning next month. The Central Bank will also monitor the implementation of the program of citizens loans closely and work with banks to ensure the success of the program and benefit from it by all those who meet the conditions . Houthis expand .. Why does the Saudi-Saudi alliance fail the Yemeni resistance?